As the name suggests, pre-emergent herbicides are a proactive approach to weed control by working to kill weeds BEFORE you see them. Rather than disrupting the growth process, pre-emergents help to inhibit germination or the process of weeds developing and sprouting from the soil. In most cases, pre-emergents should be used on an entire turf area as to not miss any spots where weeds could sprout. It’s also critical to water in pre-emergents, to increase their effectiveness and ensure the herbicides penetrate the turf’s soil. If watered in properly, pre-emergents should remain active in the soil for up to 8 weeks. Pre-emergents should be applied with caution to newly seeded turf or turf in need of renovation. If you’re concerned about weed growth at your property but recently renovated or plan to renovate the turf, contact your Benchmark account manager for recommendations and a treatment plan. 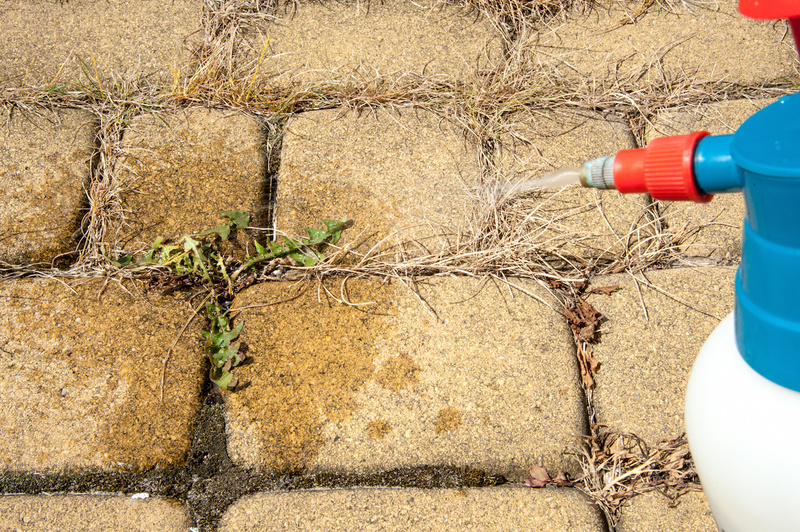 Post-emergent weed control products kill existing weeds and work well to eradicate many types of weeds including perennial, annual broadleaf , and even grassy weeds (weeds that resemble grass). Unlike pre-emergents, post-emergents can be used to spot-treat weeds; treating entire turf areas is not necessary. Timing of post-emergent herbicide application is critical as they are most effective when weeds are newly developed. Mature weeds are unsightly and may require repeat applications. Turf should be inspected frequently, while mowing for example, so that new weed growth can be identified and treated immediately.